Welcome to 1.8, Champions! This season’s final Battle Pass is capping the year off with a party to end all parties. Prepare to have your eyes and ears blown away by our 4 new Legendary Remix skins, each coming with incredible VFX and individual music tracks, and battle in our brand new Team Deathmatch Map “Dragon Arena,” a forgotten training ground for the Warders. Kick off the Season of Giving early with the return of the Festive Chest, benefiting Child’s Play Charity, and an all new gifting system! Drop the beat while you’re dropping bodies and don’t forget to have fun! Drop the beat with our brand new Battle Pass! Battle Pass #3 features new Remix skins, the highest quality skins ever assembled in Paladins. The Legendary Strix, Pip, Seris, and Jenos Remix skins feature an updated version of the music and VFX introduced with Raeve Maeve and include a unique song for each skin! Players will not be able to unlock any more Battle Pass #2 rewards. The Battle Pass #2 and Battle Pass #1 buy-in unlocks will still be available through the Season Pass. Battle Pass #3 (EDM) will be available for purchase with the release of Update 1.8 and is scheduled to end in early January 2019. The Battle Pass allows you to experience Paladins like never before. Receive instant rewards for purchasing and unlock over 100 more goodies by playing and leveling up your Battle Pass. All players start earning Battle Pass #3 experience as soon as Update 1.8 is released and can level up from 1 to 50. Battle Pass members unlock a reward every level and also unlock the rewards from the free track. 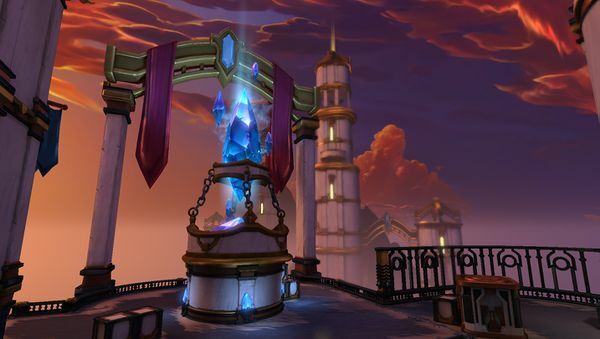 The Paladins Battle Pass #3 costs 600 Crystals and rewards you just for playing. You can unlock up to 175 Crystals in Battle Pass #3, reducing the cost to 425 Crystals for a music pack, four skins, and dozens more great rewards! For more details, visit the Battle Pass page. Remix Strix – New Legendary Skin! Remix Seris – New Legendary Skin! Remix Pepper – New Legendary Skin! "Developer Commentary: We’re always looking to push our skins further, and with this skin we are excited to introduce an all-new Vulpin character with a familiar kit: Pepper! As seen in her splash art, the Pepper skin represents an alternate universe version of Pip. As a new character, Pepper will have her own unique Champion portrait in-game, but she plays exactly like Pip. Note: You can not have a Pip and a Pepper on the same team." Remix Jenos – New Legendary Skin! Team Skin Boosters – New! Unlock all non-limited skins for you and your team! The Role Chests make their return featuring Voice Packs, recolors, and a Legendary Dance emote for all roles. Complete Battle Pass Challenges for experience to help speed your way through the rewards track. Completing all 5 Tiers of Battle Pass Challenges unlocks the limited title “The DJ”. Completed the Battle Pass early? Play an Encore and complete it again! Players who own and complete the Battle Pass will automatically start gaining experience in our new Encore Rewards Track. This track features new Challenges, experience boosters, Crystals, and the ultimate Limited reward: Redux Strix! Redux Strix is a Limited skin. It will never be available again after Battle Pass #3 is complete. 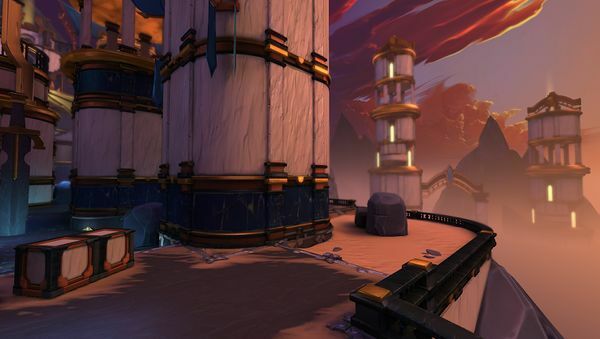 Dragon Arena, inspired by the Dragon’s Call event, is our newest Team Deathmatch Map. 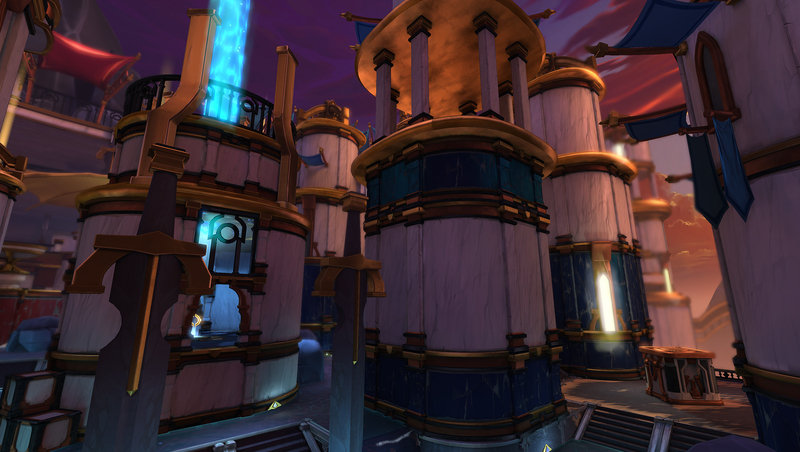 Explore a Warder training ground where the ancient dragon masters once honed their skills. Ride into battle atop a gleaming Obsidian Warhorse and speed up your Battle Pass progress with the new Obsidian Pack! Switch and PS4 Players may now activate Gyro Control functionality in the Controls section of the Options Menu! Gyro is the next level of player-to-game interface and has strong advantages over the traditional console control scheme. The range of motion and responsiveness of a players wrists outclasses that of a players thumbs, a fact that Gyro controls makes apparent once a player is accustomed to the mechanics. Paladins is the first multiplayer game to support Gyro Controls on PlayStation 4! The Dark Tides event will come to a close with the release of 1.8. Players who have not spent their Vault Key will have it converted into Iron Madam Inara. The VFX and Music technology used for Raeve Maeve has undergone several improvements to VFX visual fidelity and consistency of audio feedback. Equipping the EDM Weapons from Jenos, Strix, and Maeve will modulate the brightness of non-EDM skin effects to the beat of the Weapon music. Want to buy your friend an Epic skin or thank the player who carried your last Ranked match? 1.8 introduces the ability to purchase gifts for your friends! The Gift menu can be accessed from the Paladins main menu and will allow you to purchase one of three gifts for players on your friend list. Players must be at least level 10 in order to send gifts. Our chest opening scene has been completely re-hauled. 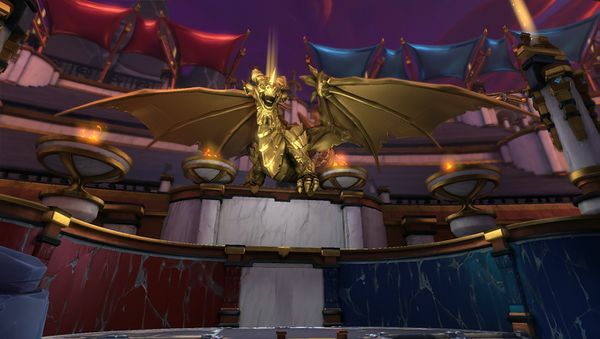 The new scene includes a brand new chest opening animation and a full 3D Champion model of the opened skin, emote, or MVP pose. Three Tests Maps are back for a limited time during 1.8. Players can access the Test Map queue in their Quick Play settings. Please note these maps are very early in development. The purpose of the test map queue is to gather data in order to create better maps for you in the future. If you run into any issues or have any feedback, please post on the Paladins Forums. Skye has undergone a visual rework. Now The Twilight Assassin looks more like she belongs in our fantasy Realm — the sort of Champion who might have once worked for The Thousand Hands. The old default Skye is now named Twilight and will be purchasable for 1 Gold during 1.8. The Festive Chest is making a return to the Realm! Celebrate the winter holidays in some holly jolly skins, now including the all new Cuddly Moji skin inspired by TheGrowingSeed’s fantastic Sock Puppet Moji art. A portion of the sales from each Festive Chest roll will benefit Child’s Play, a charity that seeks to improve the lives of children in pediatric hospitals and other child welfare facilities by providing games, toys, and books. Link your Mixer account and watch HRX live broadcasts to unlock Coldsnap Furia, FREE! Stay tuned for more details over the next couple of weeks. The follow skins have been added to the Esports Chest, obtained from watching select eSports broadcasts on https://mixer.com/paladinsgame. Added unique sound on Pyre Strike for allies when Solar Blessing is equipped. 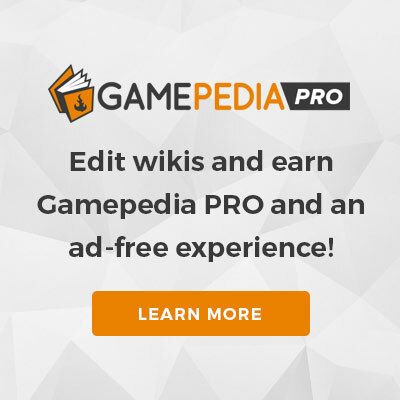 This page was last edited on 8 March 2019, at 14:51.